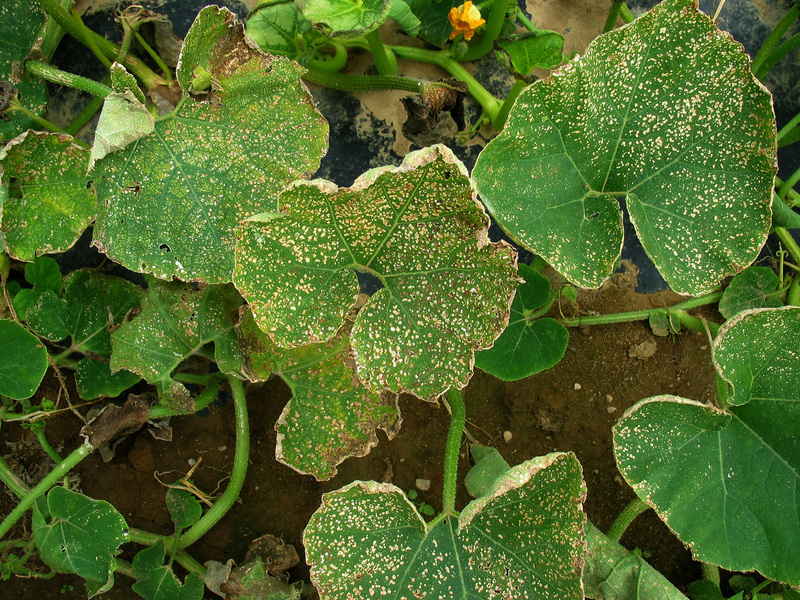 White to tan small spots on the leaves of the gourd Turk’s Turban in the following photographs are due to ozone. 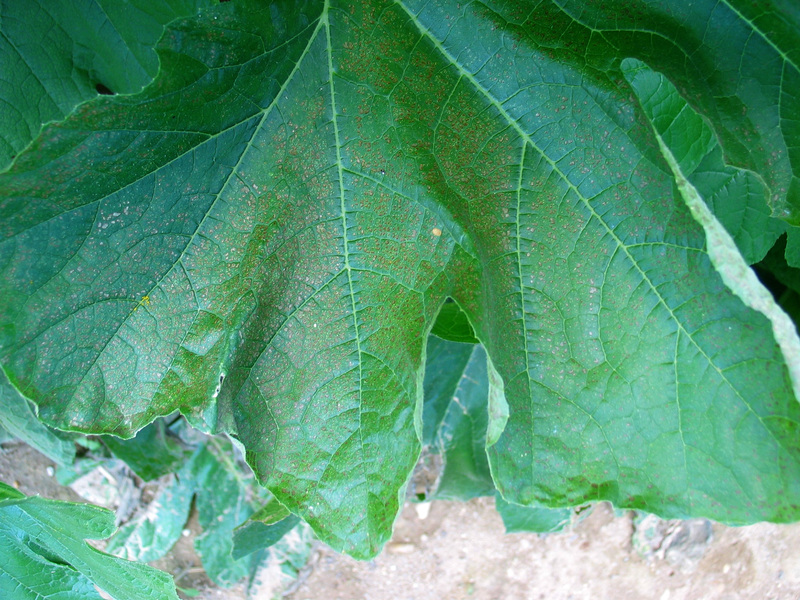 They were taken on 6 August 2004. 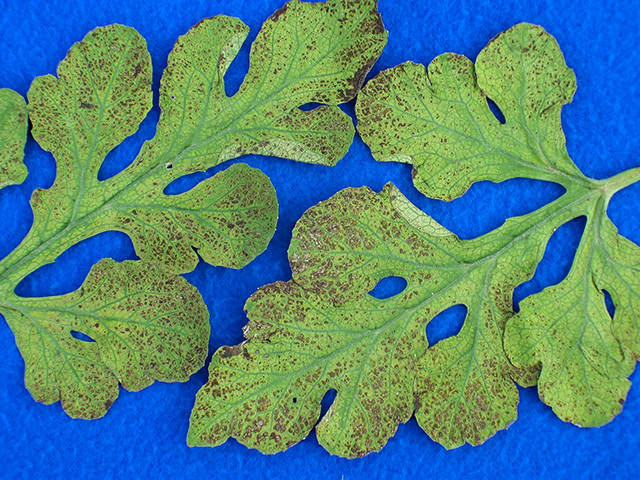 The interveinal necrotic (brown) tissue in the watermelon leaf below is the result of damage from exposure to high concentration of ozone. 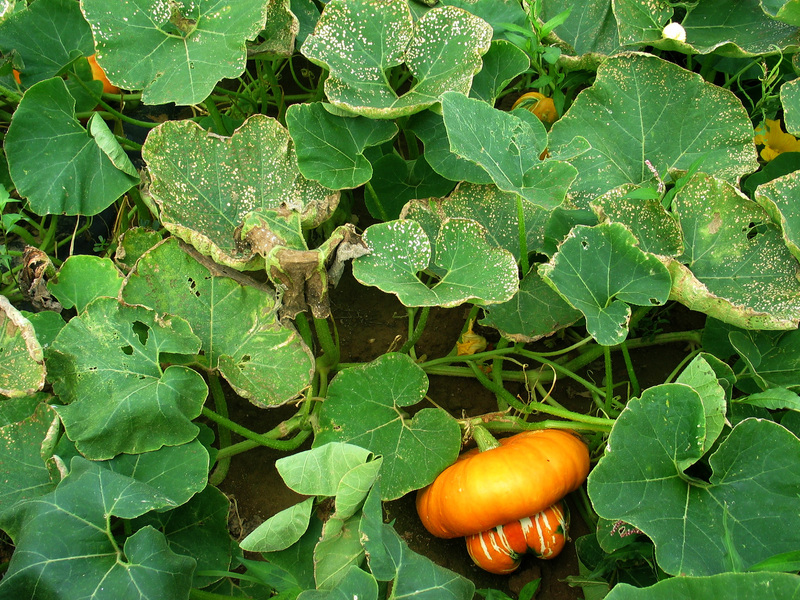 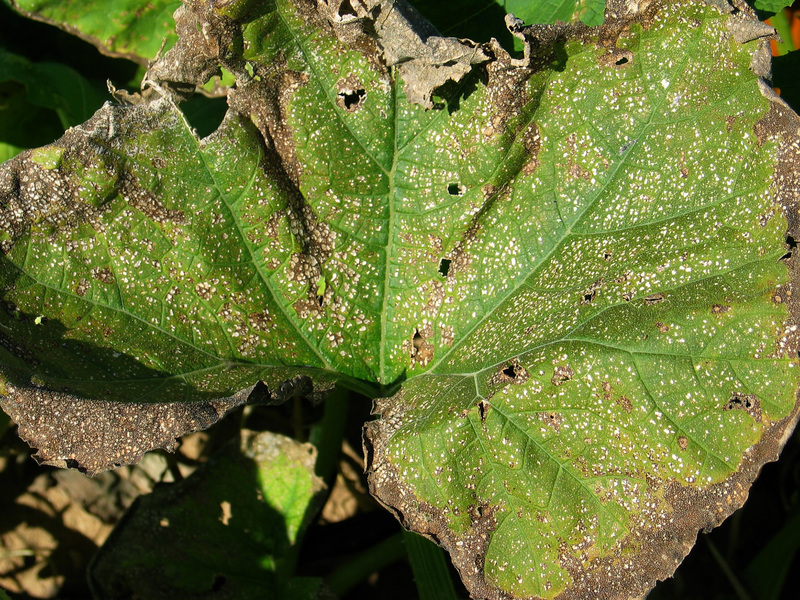 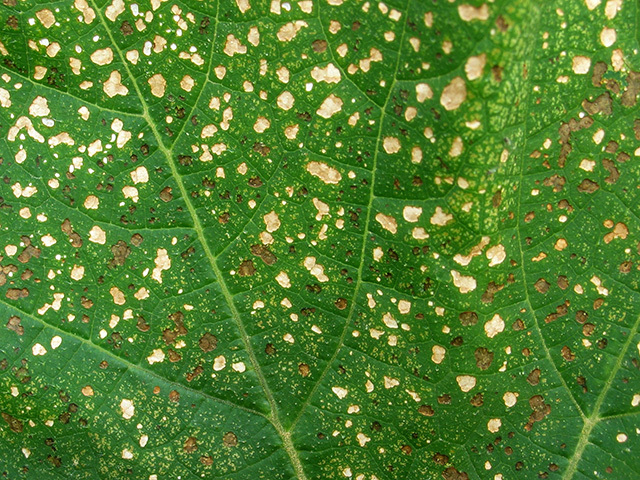 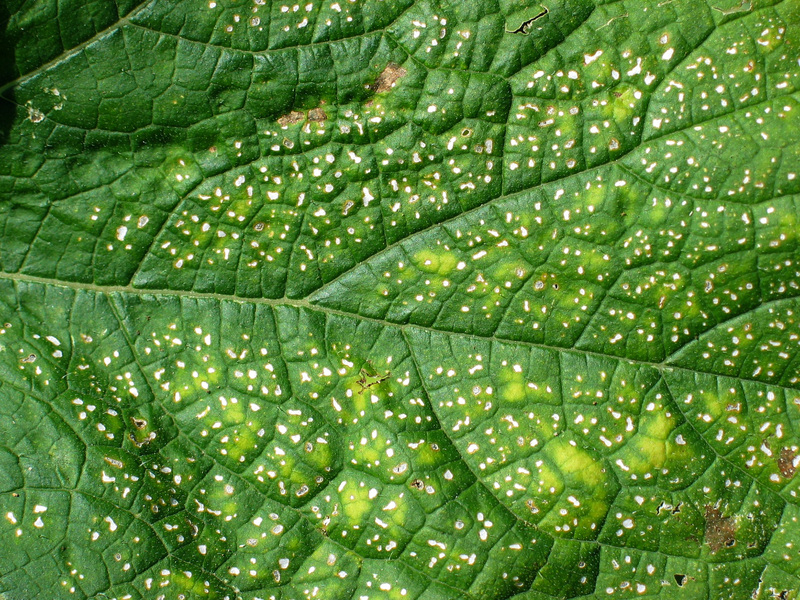 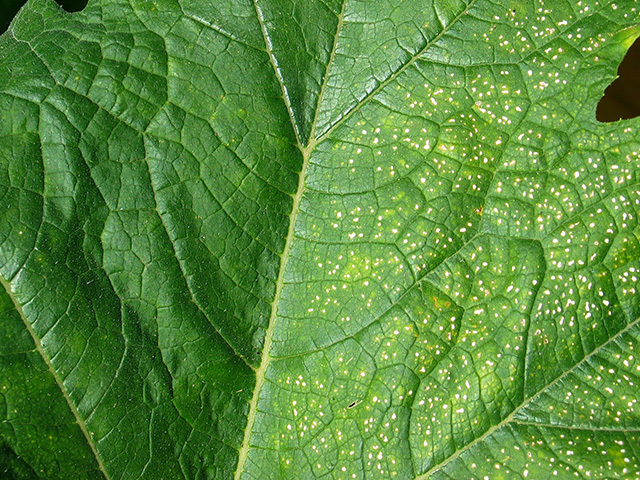 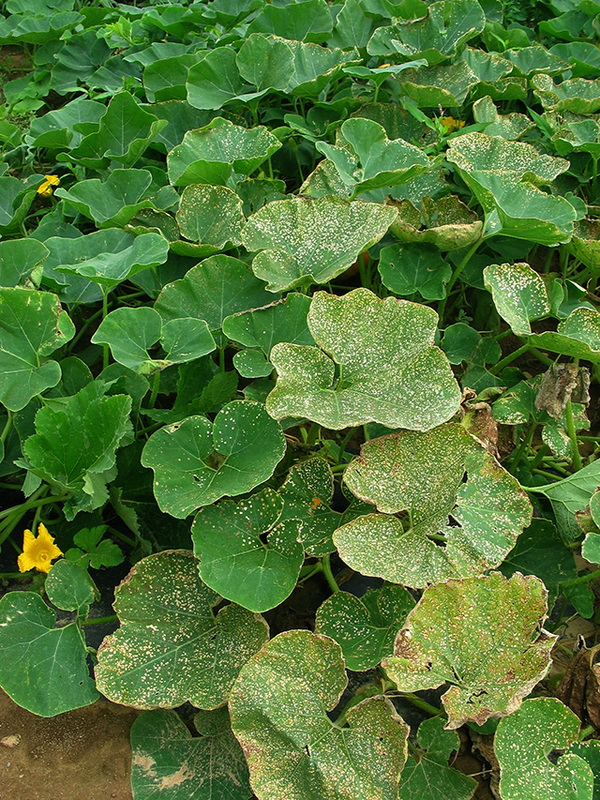 Exposure to ozone caused the small, white spots on the pumpkin leaves in the following photographs. Sometimes part of a leaf blade is not injured due to stomates being closed. 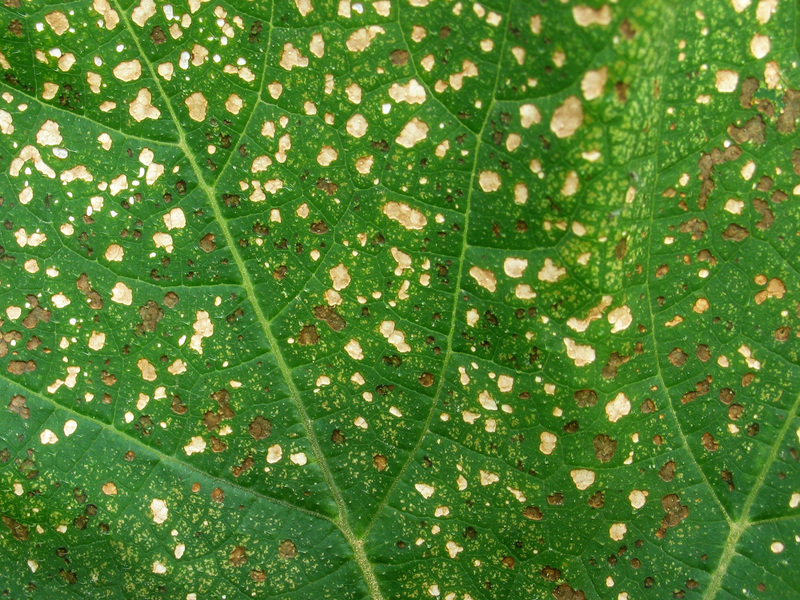 In early August 2008 when ozone reached concentrations high enough to cause injury, plants generally were wilting under the hot and dry conditions then, consequently stomates were closed limiting ozone influx into leaves and thus very little damage was observed.